The Keynote Lecture was co-organized in partnership with the Graduate Institute. 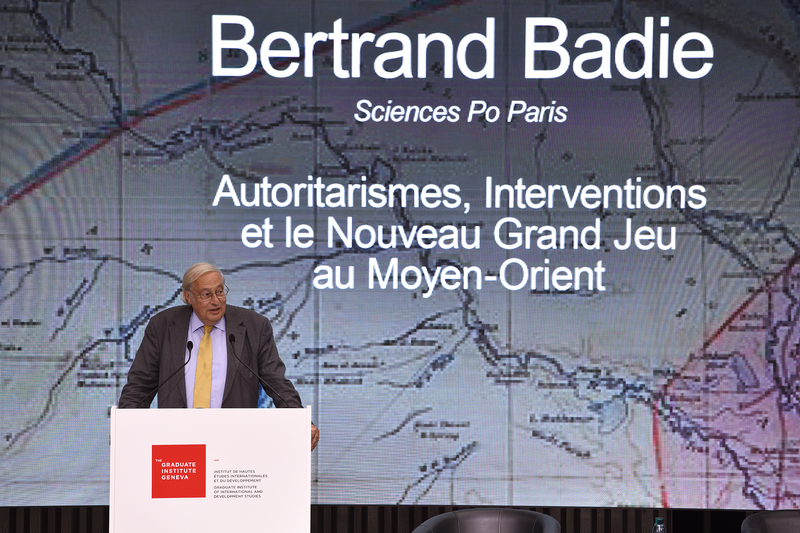 The lecture titled, Autoritarismes, Interventions et le Nouveau Grand Jeu au Moyen-Orient was the Keynote Lecture of the Pierre du Bois Annual Conference 2017. The Lecture was recorded and is available to view here. Additionally there was an interview in Le Temps with Bertrand Badie on September 26, 2017 titled “Les Etats du Nord, prisonniers de leur puissance“.